We decided to ask our agents a few questions to help clients get to know them a little better! This January, we’d like you to get to know Brett Bittrick, who has been with GreenSquare Properties for 2 years and resides in Holland. If you’re looking for a home in the Holland/Lakeshore area, Brett is the agent to contact! I enjoy building relationships with people, both clients and fellow agents. What is your favorite restaurant in Holland and what do you enjoy about Holland? When you come to Holland on a summer’s day, check out El Huarache for some authentic Mexican Cuisine. There is a unique connection among the Dutch and Hispanic culture here in Holland, as well as a unique connection among generations, young and old. Are you a wine or beer connoisseur? Favorite wine/beer/cocktail? I have enjoyed most any Hazy New England IPA. A good one here in Holland, is Big Lake Brewing Company’s Lake Haze IPA. Why do you love working for GreenSquare? I love working for GreenSquare because of the strong support that I receive, as well as the autonomy to make creative and decisive decisions. Stay tuned next week for our final installment of January’s edition of #MeetTheAgent, as you get to know Brett Bittrick better! Until then, check out some of Brett’s adorable family photos! 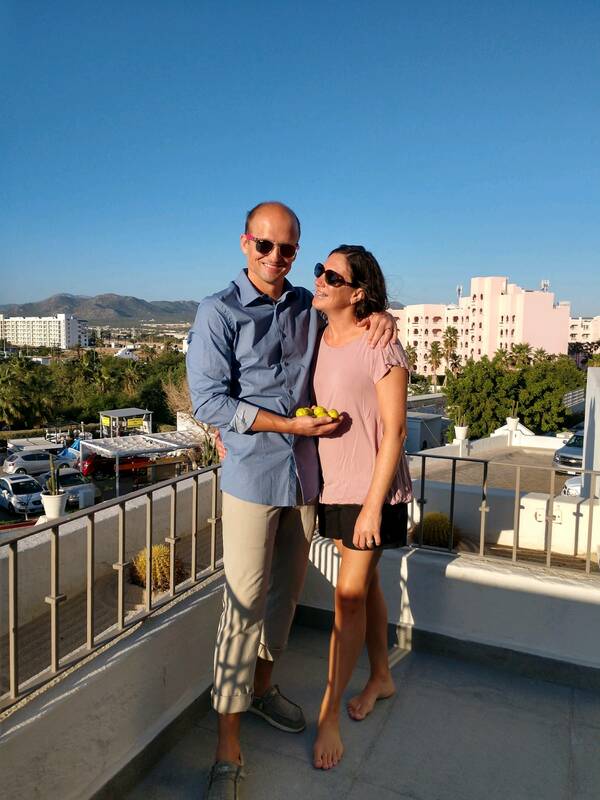 Brett & his wife, Amanda, in Cabo San Lucas, Mexico enjoying some sun (and limes!). 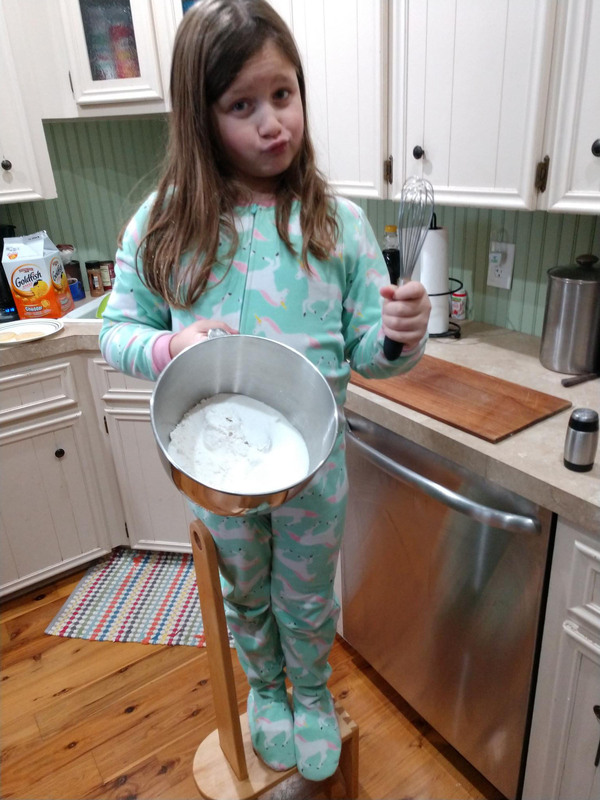 Having some fun cooking with his daughter, Ava! 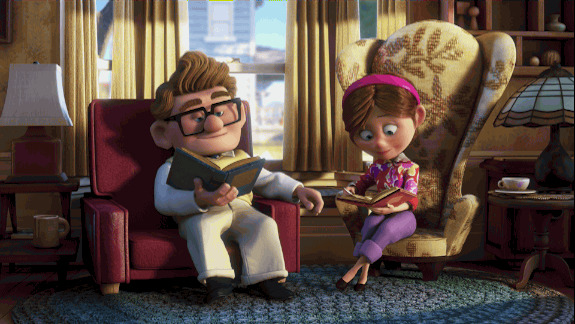 Brett sent his wife this adorable GIF from the Disney movie “Up” (and we thought it was too sweet not to share! ).